Hey. What’s going on, guys? This is Alex Branning and this is going to be a pretty vulnerable episode. I’m going to talk about what I’m learning and the one ingredient that I didn’t know that I needed to go from where I am, which is a business with a great team, and fun, and we’re impacting to the world, to where I want to go. And that is courage. There are things that separate people that are in the before stage of their business to the ones that have accomplished what their dreams are. So, for me … I’ll take you back four years. I had a killer team. We were building sites for Chrysler, Billabong, and Crocs. I mean, we were on top of the world when it came to web development, the industry we were in. And we were making a ton of money and we were really making a name for ourselves. We were flying high. But the thing is, I wasn’t having fun. And I saw where this was taking me, as far as my career path and the kind of life that I was going to have to lead, and the things that I was going to have to do to stay on top. And it did not excite me. I was coming into work every day just dreading it. And that’s when I started my coaching relationship with Eric Lofholm. And one of the things that he showed me was that I needed to dramatically shift my business away from doing these projects for hire and turn myself into more of a personal brand, build more of a marketing agency, and, most importantly, focus on residual income, so that I didn’t have to grind as hard as I was just to make bills. There was an element in there … He didn’t say it, but it’s something that really helped inspire in me, and that is the courage to make a change. I was talking to one of my coaching clients the other day and we were talking about where she’s at now and what it’s going to take to get her to where she wants to be. And she was like, “I am just so scared. And I’m suffering from imposter syndrome.” And we talked about the courage that she’s going to need to get to the next place. And I remember another story. I remember the first time I actually … This is going to sound silly. But I remember the first time I actually went live. And I shot a video of myself. And I felt like … Even though what I knew what I was saying was true about marketing, I felt like such an idiot. Because this was the first video I did, I only had like 20 people watching it. I don’t know. It was so hard because people knew me as the coder. And now I was positioning myself as this marketing guy. And I knew what I was saying was true, but I still felt like a fraud. And maybe you’re there right now. Maybe you’re like, “I know that what I’m saying is good and true, but I don’t have an audience. But I still want to present myself as an expert. So what do I do?” You just have to go out there and do it. Share your message. Be courageous and just do it. Courage also come in other forms as well. Courage comes in hiring team members that are going to be necessary for you to get your business to the next spot.About five years ago, five and a half years ago now, I went through a really painful process where I had a couple members of my team actually come against me. And they were working to take down my company. It was really traumatizing and it was a pretty big act of betrayal. It was two of my core team members. And they wanted to go and start their own business. And I have no problem with people on my team starting their own business, but they were trying to take my clients. And it just got ugly and messy. So I had a hard time trusting people. After talking with my business coach, I also knew that I wasn’t going to get where I wanted to go unless I learned to have courage and hire people on my team that would be a good fit, that would be smarter than me in the areas where I needed help, so that we could take my business to where I knew that it could go. But I needed to get that courage to actually bring them on the team. I’ve got some great guys right now. We have a team of seven. And we’re building and growing and having fun. And I trust each one of them. And I support each one of them and their own respective side hustles if they have it. Not everyone does, but many people on my team do. And I encourage it. I want them to be successful in everything they’re seeking to be successful in. But it took courage for me to bring people on the team again, trust people after that. But without my team, I wouldn’t be where I am today. And we need courage. 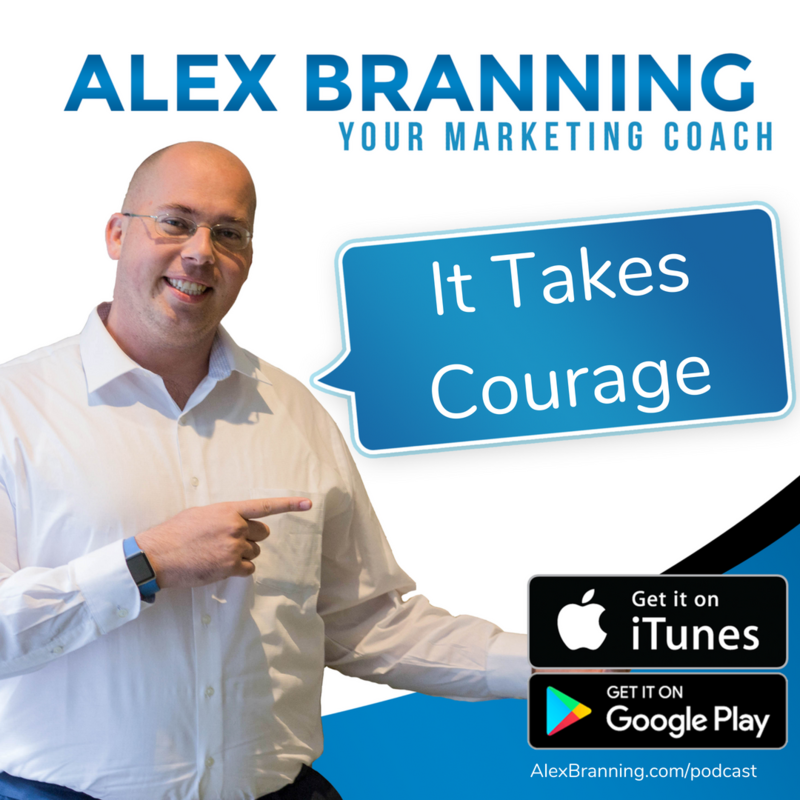 We need courage to get our message out into the world.I mentioned the video, but even this podcast, when I first did it, I remember the first week that I launched, I was so excited. I was pushing it. I was telling people in my audience that I was going to do it. And that first week, I think it got a total of, I don’t know, 25 or 30 listens, something like that, really small. I didn’t let the numbers bother me. But I also knew, I cannot use that as my barometer of success. I cannot say, “Well, only 25 people care about my message.” I know that it takes a little while to build this thing up. And so I knew that I just needed to keep pushing forward. I just needed to keep taking action. I needed to be courageous and not feel like an imposter or a fake. In the internet marketing space … I’m sure in your industry as well … In the internet marketing space, there are people that have been doing this for a long time. Or, there’s some people that just execute on every single point so flawlessly that they’re able to shoot up into these successful stratospheres and leapfrog past me in whatever numbers I’m using to judge success. And it can feel fruitless. You’re like, “Oh my gosh. What am I doing here?” But we need that courage to keep going day in and day out. Keep building. Numbers are important to gauge on whether or not what we’re doing is working. But it’s not the only barometer of our success. For me, one of the things that I look for and I love is the private messages that I get over Facebook Messenger and email saying, “Hey, thanks for that message,”especially the “Be Teachable” episode about a month ago. I got a ton of people hitting me up about that. And they just love the message. And it really resonated with them. And then I knew I was going … I was like, “All right. This is cool.” Even though my listener numbers are not probably as high as other people in the game, that’s not my barometer of success. My numbers keep going up, which means that I’m doing something right. And the number of people reaching out to me keep going up, which means I’m doing something right. So it feels good. I was listening to a podcast with Ray Edwards and he was talking about what it took for him to become a million-dollar copy writer. And if you’re not already following Ray Edwards or grabbed his book, I highly recommend it. His main book, the one that he’s known for, is How to Write Copy that Sells. That’s a must-have, in my opinion, for anybody in any business. 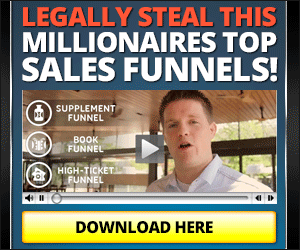 How to learn how to write copy that motivates people to take action. But then he’s coming out with another book called Permission to Prosper. And in this episode interview that he was talking about, he mentioned that leap that he took from being copy writer, getting paid to write copy, to becoming Ray Edwards International, the brand. And that’s big. Because I have a message that resonates with people differently than, say, Gary Veynerchuk or even my business coach Eric Lofholm. It’s different. I’m not taking anything away from Gary or Eric. But it’s different. And for me to go out there and share my voice, I’m contributing to, hopefully, you and the other people that listen to my podcast in a way that other people have not yet been able to get their message to sink in. And you have a message that your audience needs to hear. You have something. You have a message, you have a strategy, you have an idea. You have a concept. You have core ethics. You have something that people need to hear. And that doesn’t necessarily need to mean starting a podcast or a YouTube channel. That just means you going out there and doing the very best that you can and building a business to be everything that you know it could be and taking those necessary steps to get there. And it’s scary. There’s a phrase called the imposter syndrome, where we feel like a fake. And that’s real. I feel that on a regular basis. Am I actually, legitimately, doing this the right way? Do people actually care what I have to say? And then every time I get a message or a comment from someone who disagrees with me or wants to put me down, it feeds into that. But the reality is, is that I know that what I’m doing is great for my audience. I know that what I’m doing is what I’m supposed to be doing. And I know that what I’m doing is impacting people’s lives. ‘Cause I’m hearing it. Now, I may not have the impact of others. But their impact is not my mission. My impact and what I have to share, that’s my mission. And so I keep doing it. I keep building. I keep hiring. I keep serving clients to the highest level. And that, it takes courage to keep doing it. But that’s what I’m doing. Just want to give you that message, you guys, today. Be courageous. Keep going. Keep putting out your message. Keep sharing. Keep building. Keep doing it. Keep grinding. Take action. Be courageous. And if no one has told you yet, I want to be the one to tell you that you have permission to follow your passion. Have a great day, you guys.